When it comes to the technology you need to run your business, you have numerous options to choose from. 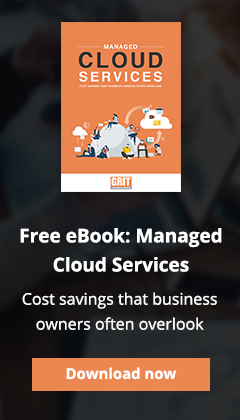 Unlike many IT providers, GRIT Technologies combines IT and small business consulting expertise to develop customized technology solutions for your business. GRIT Technologies becomes a virtual extension of your business, helping you to develop and maintain a technology strategy that aligns with your business needs and goals.